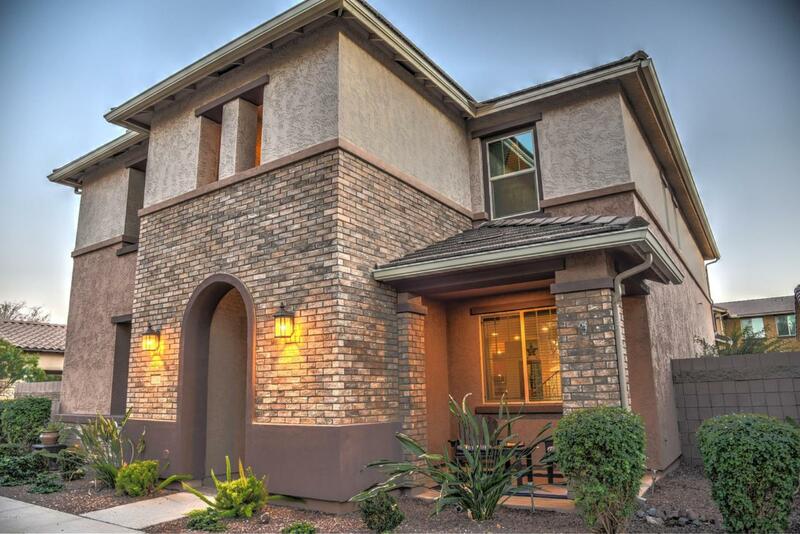 Don't Miss Out on this Gorgeous home located in quaint Cooley Station in Gilbert. Steps to the community pool and parks. 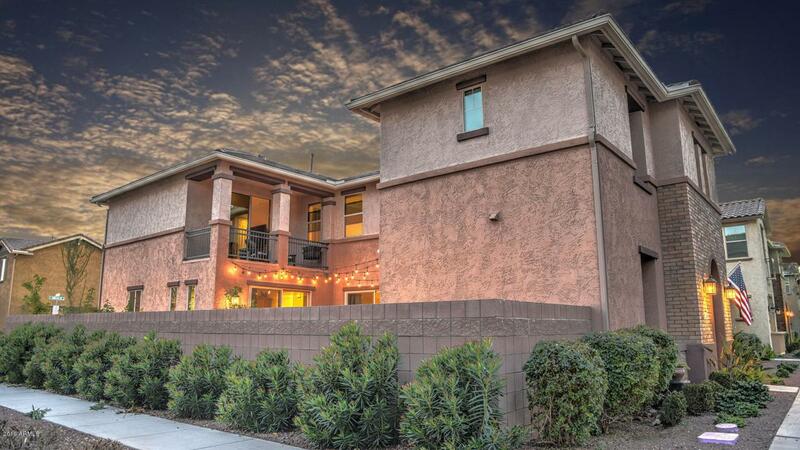 Situated on a corner lot; This home features a spacious open floor plan with a bedroom & full bathroom down stairs. You have to see the large kitchen with over-sized island featuring granite counter tops, gas cook-top, and walk in pantry. 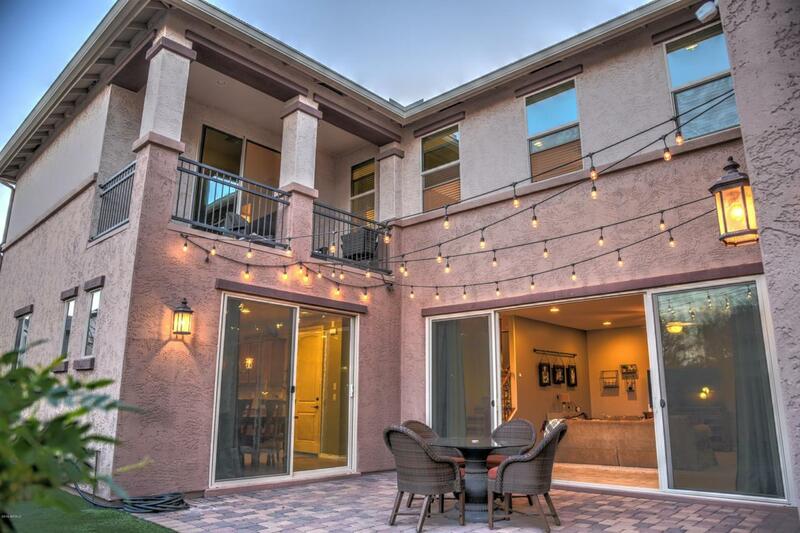 The best part of the home is the abundant natural light with extra large extended atrium doors that opens to low maintenance paver patio & turf backyard, great place to host gatherings & BBQ's. Upstairs a sizable loft, large master bedroom/bath, split vanities & large soaker tub, walk-in closet. Two modest sized bedrooms & a full bathroom. 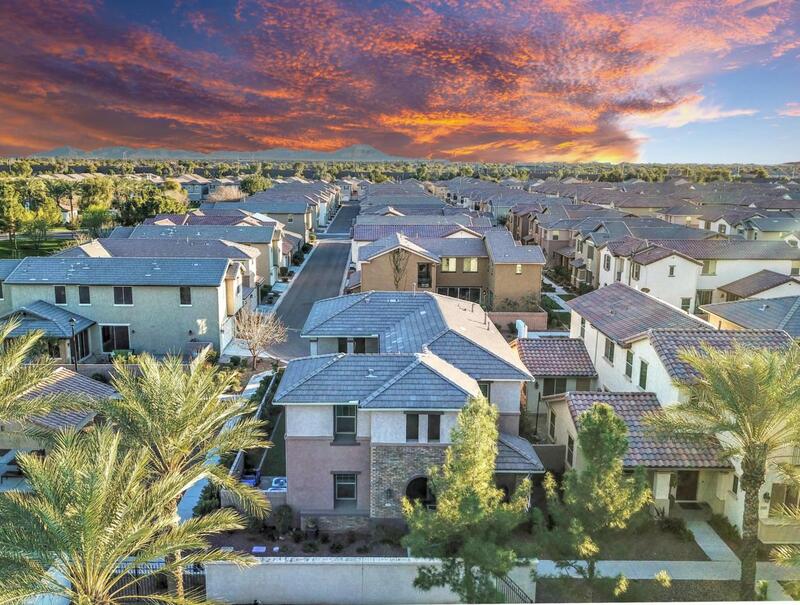 The community has lush parks & greenbelts to take a sunset stroll w/family or pets. A MUST SEE!